The first mistake was made by Ferdinando Giugliano, in his article of February 13, 2016, “Varoufakis faces challenge of turning game theory into triumph”. His mistake was not one of interpretation, but one of trust in authority. Citing Nobel Prize winning economist Roger Myerson of the University of Chicago, readers are left with the incorrect impression that Melos was interested in negotiating with Athens. They were not. The Melians wanted to see the Athenians punished for the hubris and pride they displayed, and wanted Sparta to do the punishing. There is no parallel in the current Greek situation. What is more, Melos did not simply want to be spared: Melos wanted to be spared and to see Athens humbled. Is this the aim of Varoufakis and Tsiparas? Second, Dr William Koelsch corrects the record, but not far enough. Mr Giugliano wrote that Athens starved the Melians into submission, and Dr Koelsch reminds us that the reality was far worse: immediate genocide and slavery of any remaining women and children, and the repopulating of the island of Melos with Athenians. Importantly, he compares Athens to ISIS, which introduces the topic of religion into this discussion. The Melians (and Spartans) were the religious fanatics, not the Athenians. It was the Melians that believed the gods would join them and Sparta on the battlefield (I exaggerate only slightly). Athens was also religious, but in a different way. By this time in the war they believed that their thesis of compellence by the greatest things (“fear, honour, profit”) was a correct description of human and divine behaviour. Their hubris was that they believed the gods would behave as Athenians did. Still, the party willing to enslave their opponents for reward in the afterlife was Melos, not Athens. Third, Prof Gautam Pingle of Hyderabad reminds us of the pyrrhic victory of Athens at Melos, given the disaster that followed in Sicily. The Melian arguments are a lesson for diplomats because they did not “get what it is possible to get”. This betrays a materialism that was foreign to the Melian psychology. The Melians sought justice, and believed that justice was an active force in the world, and that injustice (such as the Athenian tyranny over Greece) would be punished. The situation in the Eurozone and Greek’s debt crisis is strictly material. Readers would be better off with an introduction to Xenophon, whose Education of Cyrus demonstrates fiscal prudence and moderation, even in times of plenty, all while establishing a cosmopolitan government. One final point which escaped our three readers. The diplomats negotiating on Melos’ behalf were from the oligarchic class, not the demos, the people. The Athenian diplomats wished to have this debated with the Melians in full public view, and to let the people of Melos decide their fate. But the Melian ambassadors opted for a closed-door meeting, out of the public view, and decided on a sure path to slaughter. Given the popular nature of Syriza’s mandate, it is incredible that no commentator has mentioned this (on this score, Professor Pingle is right but for the wrong reasons). 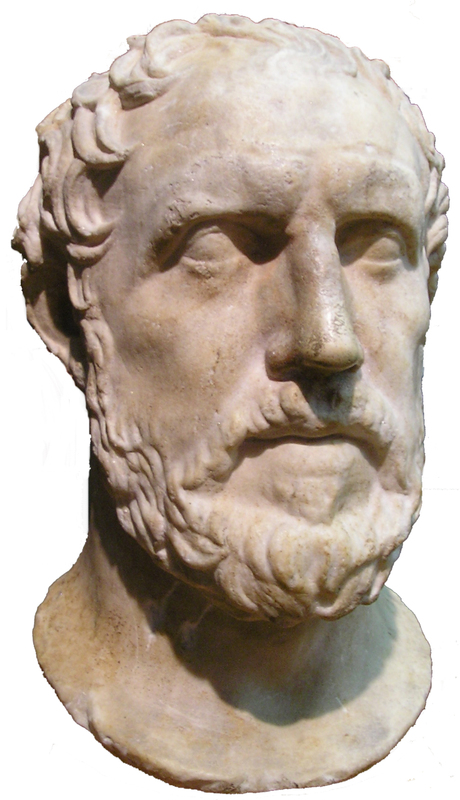 Perhaps a Nobel Prize in Economics does not necessarily make one a good reader of Thucydides.